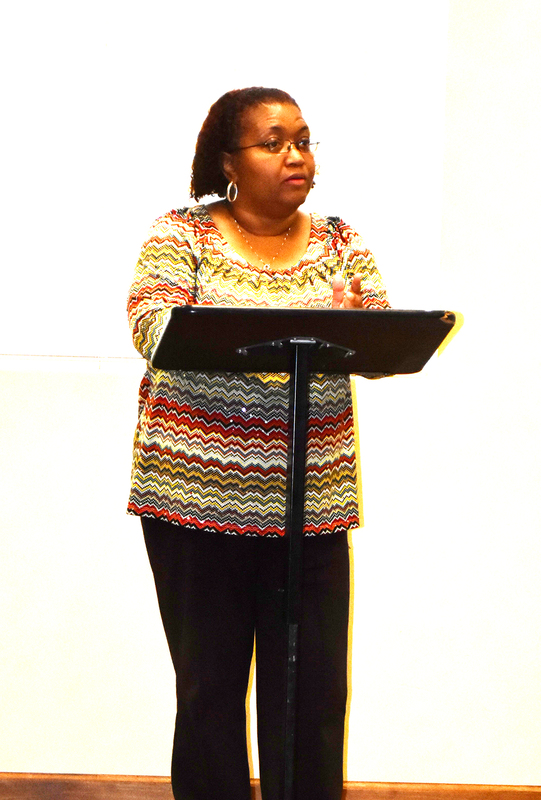 Linda Winston is shown addressing the Fayette City Council during its March 26 meeting. A local resident addressed the Fayette City Council at its March 26 meeting concerning the condition of the streets on Martin Luther King Drive and the speed of vehicles traveling the streets. Councilman Jerry Nichols and Councilman Eddy Campbell were absent from the meeting.